Maui Solomon is a well-respected Barrister and has over 30 years’ legal experience including representing three of the claimants during the landmark Wai-262 Indigenous Flora and Fauna claim. From a family of 13 children, born in Temuka, Maui and his mahine Susan Thorpe have five timiriki between them: Kahu, Tamarau-Ariki, Hinemata, Jasper and Tasman. He has specialised in land and fishing claims, cultural and intellectual property and environmental law, and has represented Māori tribes from all over Aotearoa/New Zealand and other peoples around the Pacific. Maui has played a leading role throughout his adult life in the renaissance of the culture and identity of the indigenous Moriori people of Rekohu (Chatham Islands). 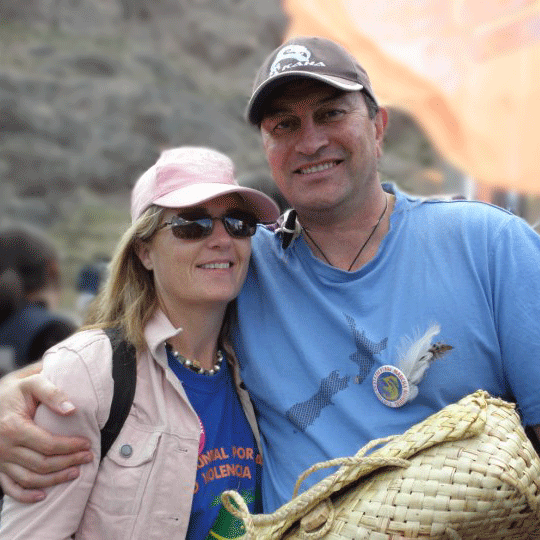 Maui is currently the Executive Chair of his tribal body, Hokotehi Moriori Trust and lives on Rekohu with his mahine Susan. Maui has also been active in international indigenous peoples issues including the Convention on Biological Diversity, the World Intellectual Property Organisation and is a past- President of the International Society of Ethnobiology. His main focus over the next phase of his life will be to support youth development initiatives on his Island home and to grow and plant as many native trees back on his traditional whenua of Rekohu as he can!